"I want to go viral." "We want a viral video like The Ice Bucket Challenge." "I want a story about us on 60 Minutes." "I want my op-ed to be placed in The Wall Street Journal." While these responses might seem strange and unrealistic, on a positive note it shows that your clients are paying attention to the digital world and how it can impact a career and business. If stakeholders you work with have similar expectations, sit down with them to set goals and create a detailed plan for achieving them. It's your job to be open and honest about how attainable their objectives are, and you may even consider the option to under-promise from the get-go, as suggested by Forbes contributor Annie Pace Scranton. 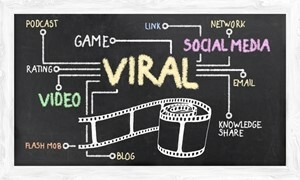 It may help to preempt the conversation with an explanation of why goals like “going viral” are not realistic. Let your clients know that the only thing that's guaranteed is gaining constant access to you and full attention from you, which can amplify the success of every achievement that follows. This idea of over-delivering will make your client appreciate the hard work more, and the stress of meeting all of their wildest expectations will fade away.